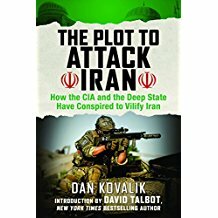 The Plot to Attack Iran, How the CIA and the Deep State Have Conspired to Vilify Iran By Dan Kovalik, Foreword by David Talbot. Skyhorse Publishing , New York. 220 pages. $18.99 in paperback. 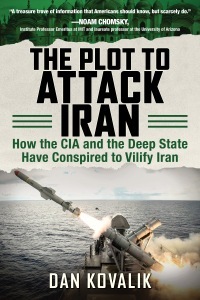 The Plot to Attack Iran gives a readable and well-referenced look at Western — especially US — abuse of Iran. The author and human rights lawyer Dan Kovalik presents a concise overview of US imperial conduct since World War II. The book is a reminder, which we need from time to time, of the outrageous hypocrisy and deceit of the US government and the corporate media. Kovalik also drives home that Washington’s foreign policy operations are not just a threat to other countries, but threaten the basic safety of the US people. The US strove to crush any Iranian attempts to create their own development path for their country, particularly as oil became an important resource. The US has continuously sought to overthrow the government since the 1979 revolution. The book reviews the US-British coup against Iranian democracy in 1953 which installed the brutal Shah, who established the SAVAK torture network. The double standard of Jimmy “Human Rights” Carter, the struggle against the Shah’s murderous regime, the rise of Ayatollah Khomeini, the background to Iran-Contra, the US playing both sides against each other during Iraq’s war on Iran, the US relations with the Taliban, and the US-Saudi war on Yemen are all covered. One aspect that could be added to the book is a summary of the social gains made by the Iranian people in the Islamic Republic, particularly under President Ahmadinejad (2005-2013), who instituted many anti-neoliberal programs which helped the poor. For instance, poverty had been reduced to one-eighth of what it was under the Shah, while health care is free for those who can’t pay. Kovalik does note that in 1970 only 25% of Iranian women could read and write. By 2007 it was 80.3%, compared to 88.7% for men, and 90% percent of women are enrolled in school, free for all even through university. While about one-third of university students were women before 1979, now women make up 65 to 70% of the students. Women are legally entitled to ninety days maternity leave at two-thirds pay, have an entitlement to employer-provided child care centers, both gains which are denied women in the US. Iran has an equal pay for equal work requirement, also denied women here. That Iran has an Islamic government which the United States and Israel abhor, is a direct result of the US coup against Prime Minister Mossadegh in 1953. The US’ subsequent support of the Shah made popular revolt inevitable, and when it broke out the US directly supported Islamists in Iran over the secular left. Mossadegh had taken action to nationalize Iranian oil, then mostly under British control. Britain proceeded to sabotage Iran’s oil production and export, wrecking its economy. Mossadegh actually appealed to President Eisenhower to mediate and resolve the issue in a way Eisenhower saw fit. The US reply came in the form of a coup, which showed many of the tactics we have seen in recent color revolutions and regime change interventions, one of the most current being in Venezuela. CIA agents bought off secular politicians, religious leaders and key military officers, newspaper editors, hired thugs to run rampant through the street, sometimes pretending to be Mossadegh supporters, sometimes calling for his overthrow, anything to create a chaotic political situation. Thousands of demonstrators, unwittingly under CIA manipulation, surged through the streets, looting shops, destroying pictures of the Shah, and ransacking the offices of royalist groups. The impression was that Iran was sliding towards anarchy. The Shah then took power and for a quarter century established one of the most barbarous regimes in the world. The CIA helped train the Iranian security services in torture techniques—¬ techniques borrowed, as in the case of Pinochet’s Chile, from the experienced experts, the Nazis. Every year 350 SAVAK agents were taken to CIA training facilities in Virginia, where they learned interrogation and torture. Top SAVAK brass were trained through the US Agency for International Development’s (USAID) Public Safety Program. SAVAK created torture prisons that outdid Dante’s Hell. 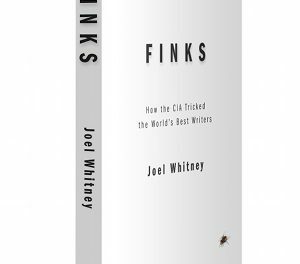 The CIA filmed techniques it had taught SAVAK to use and made them available to torture centers in other countries. The most common SAVAK instrument was an electrically heated table called the ‘frying pan,’ on which the victim was tied down by his hands and feet. Many died on these tables. Often, the accused was already raving by the time he entered the torture chamber—few people could bear the screams they heard while they waited, nor the smell of burning flesh. Amnesty International stated in 1974, 20 years after the US-backed coup and US training of repressive forces, that no country had a worse human rights record than Iran under the Shah. Yet Jimmie Carter maintained weapons supplies to Iran, and the human rights situation got even worse. In 1978, anti-Shah street protests in Tehran drew more than a million strong. The Shah’s army, trained by the US, killed 4,000 demonstrators in Tehran’s Jaleh Square on September 8 alone. Kovalik notes that if such a thing happened in Venezuela or Cuba, or in Iran in 2018, this would be cause for the United States to invade. There was an explosion of corporate media condemnation against China during the Tiananmen Square protests ten years later, where probably one-tenth the number were killed. But who knows of this Jaleh Square massacre – not the only one – outside of Iran? Yet Washington approved of it, continuing to back the Shah and his methods for another half year. Kovalik notes the flagrant hypocrisy of the West’s noise about chemical weapon attacks in Syria, repeatedly and without evidence blaming the Assad government. Not only did the West arm Saddam Hussein’s Iraq with chemical weapons, but it downplayed their massive use against Iranian troops and civilians. Kovalik reminds us of the US’ widespread and criminal use of chemical weapons in Korea, Vietnam, and more recently in Iraq in Fallujah and Mosul. The US Department of Commerce and even the US Centers for Disease Control (CDC) exported to Iraq items used for chemical weapons and nuclear weapons development. The US government approved 771 different export licenses of dual-use technology to Iraq. The CDC sent Iraq 14 separate agents “with biological warfare significance.” The CDC was not involved in controlling disease, but in spreading it. For its part, Iran itself refused to use chemical weapons against Iraq, and also pronounced a fatwa in 2005 against developing nuclear weapons. The UN International Atomic Energy Agency determined in 2003 and 2007 that Iran did not intend to build a nuclear weapon. This was confirmed by sixteen US intelligence agencies. The US armed Iran the same time it aided Iraq in its war on Iran and used $18 million from the $30 million in weapons sales to illegally fund the Nicaragua contra terrorists after Congress had cut off their aid. This became known as the Iran-Contra Scandal. Israel, with US consent, also sold Iran hundreds of millions of dollars of US-manufactured weapons during the Iraqi war on Iran. Later Washington funded the contras by directing them to import crack cocaine into the US, fueling a drug addiction epidemic. Incredibly the US without shame justified its 2003 war on Iraq with the claim that Saddam Hussein possessed “weapons of mass destruction,” in particular, banned chemical weapons, which the West had previously sold him. That was, as is said now, “fake news” because Hussein’s chemical weapons had been destroyed under UN supervision years before. To heighten the hypocrisy, the US itself used chemical weapons (white phosphorus and depleted uranium) in its war on Iraq in 2003, causing spikes in cancer rates and birth defects in areas like Fallujah. During this whole period the US had been increasingly intervening in Afganistan. It was instrumental in ousting the progressive secular government in Afghanistan by supporting Islamic extremist forces, the Mujahideen, which included Osama bin Laden. The US later aided the Taliban taking power, and backed them until 2001. Al Qaeda then turned on the United States and, among other things, carried out the 9/11 attacks against the United States. Osama bin Laden was himself a Saudi, and, as we now know, Al Qaida has received much support over the years from Saudi Arabia, the United States’ long-time partner in crime in the Middle East and mortal enemy of Iran. Yet, while Iran cooperated with the US in fighting Al Qaeda and the Taliban after 9/11, and while Saudi Arabia financed the 9/11 attack more than any other country, the US has remained closely allied with Saudi Arabia against Iran. In early 2001, the US pledged $124 million in aid to the Taliban. But when negotiations between the two worsened over an oil pipeline project, the US threatened to carpet bomb and invade Afghanistan — even prior to the September 11 attacks. Jane’s Defense Newsletter reported that in March 2001 Washington was planning an invasion. While ruling Afghanistan, the Taliban had basically eradicated opium production (from which heroin is made). Then just four years after the US invaded and allied with the drug lords there, 90% of the world’s heroin came from that country. We now have what Trump admits is a “national health emergency” due to opiate addiction, yet it was US policy that contributed to that epidemic. This shows how Washington’s foreign policy threatens the US people: contributing to the present opiate epidemic; creating the previous crack epidemic and the ongoing cocaine epidemic (which comes from US ally Colombia); financing and supporting the Taliban allies who attacked the US on 9/11. The US aided the rise of ISIS with arms and funding and is closely allied to Saudi Arabia, the country more than any other responsible for 9/11, ISIS, and Al Qaeda affiliated groups. The US has sought to destroy secular left movements in the Middle East, in Egypt, in Iraq by putting Saddam Hussein in power, in Iran by working with the Shah to murder it off and bringing in Khomeini as the lesser evil, in Afghanistan by using the Mujahideen and Taliban to eliminate the previous progressive government. In sum, the US has helped to empower Islamic extremists. When the US overthrew Saddam Hussein, whose base was among Iraqi Sunnis, Iraqi Shiites came to power, who then allied themselves with Shiite Iran. Then Washington sought to weaken Iran, which it had just strengthened through the Iraqi invasion. Washington turned to aiding the very forces who attacked on 9/11 as a tool to contain Iran. The US aided Sunni extremists in Libya and Syria to try to overthrow Gaddafi and Assad. The US supported the opposition in Syria from the beginning and has spent $12 billion funding it just from 2014-2017. Now Iran is lawfully in Syria (and Iraq) to fight ISIS and Al Qaeda at the invitation of the Syrian government. In contrast, the US intervention in Syria is in violation of international law. Trump has announced the US will stay in Syria, not to fight ISIS, but to counter Iran, which has become a regional power due to US miscalculations in its interventions in the Middle East. The US under both Obama and Trump has been arming and aiding Saudi Arabia in bombing and blockading Yemen (dependent on imports for 90% of its food), alleging the Houthis are “proxies for Iran,” and creating starvation and slaughter of Yemeni civilians. In Yemen, 22.2 million people need humanitarian assistance, 17.8 million are food insecure, and 8.4 million people are severely food insecure at risk of starvation. The Iran nuclear deal, which Trump wants to scuttle, did not serve to significantly alleviate the economic problems the Iranian people faced. Sanctions on Iran have cost the country $160 billion since 2012, and Trump has increased these sanctions. The 2017 protests in Iran were sparked by cuts to social benefits, a consequence of sanctions and US-Saudi engineered fall in oil prices. Washington spent over $1 million trying to convert the protests into a push for regime change, and another $20 million on Voice of America’s Persian Service seeking to turn Iranian¬ against the government. This brutal anti-democratic US conduct against Iran is similar to what it has also inflicted on Greece, El Salvador, Argentina, Chile, Guatemala, Brazil, Dominican Republic, Indonesia, etc. – if the US did not resort to massive invasion, killing millions as in the Philippines, Korea, Vietnam, Iraq. 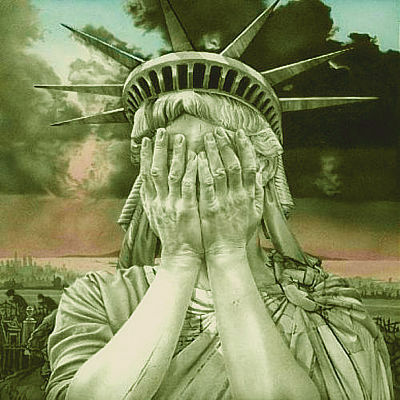 We can see the brutal present world the US has created when we compare what humanitarian Third World leaders it overthrew or sought to, compared to the US-backed leader: Arbenz and the Guatemalan dictators, Sukarno and Suharto, Lumumba and Mobutu, the Sandinistas and Somoza, Goulart and the Brazilian generals, Allende and Pinochet, Mandela and apartheid, Mossadegh and the Shah, Chavez and the Venezuelan putschists, Fidel and Batista, Aristide and the Haitian generals, Juan Bosch and Balaguer, and so on. These are great losses to creating a more humane world. Now the US blames Iran and Russia for the problems confronting the Middle East, and the US government wants us to believe that regime change in Iran will help fix the problem. This ignores the fact that none of the other regime changes the United States has been involved in have done anything but make matters worse. Millions have been killed, modern countries destroyed, and the US national debt has skyrocketed. The Plot to Attack Iran gives us a well-referenced summary to the US war against Iranian democracy and the complex situation in the Middle East.The US has been backing groups it is also at times fighting, groups that still engage in terrorist attacks against the US, France, and Britain. Kovalik’s book is a useful resource for our anti-imperialist movement. It is a tool to combat Washington’s Middle East wars. We get a taste of what liberal-lefts will say and do as the US advances its regime change strategy in Iran by looking at how they responded to the US attack on Libya and on Syria. The Plot to Attack Iran will aid us when we confront the same expected capitulation by much of this “left” when the US pushes ahead with its war plans on Iran.